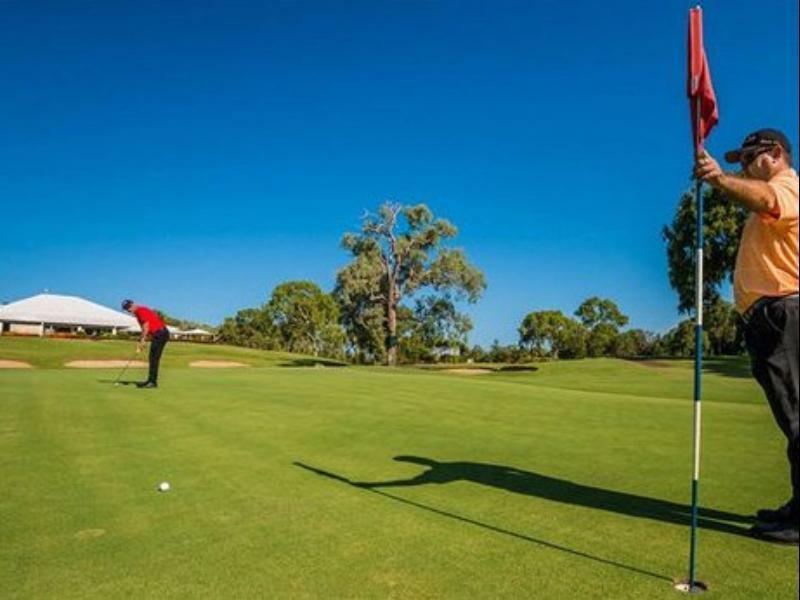 يقع في Farnborough, Capricorn Resort Yeppoon إنه المكان الأنسب لاكتشاف ييبون و ما يحيطها. يمكن من هنا للضيوف الاستمتاع بسهولة الوصول إلى كل ما تقدمه هذه المدينة النابضة بالحياة. يوفر الفندق بفضل موقعة الجيد وصولاً سهلاً إلى أهم معالم المدينة.
. إن الخدمات التي يقدمها Capricorn Resort Yeppoon تضمن للنزلاء إقامة مريحة. يمكن الاستمتاع بمجموعة من الخدمات على أعلى المستويات في الفندق كمثل خدمة التنظيف يوميًا, خدمة غسيل ذاتية, مجهز لذوي الإحتياجات الخاصة, مكتب الاستقبال على مدار الساعة, مرافق مخصصة لذوي الاحتياجات الخاصة. تتضمن كل غرف النزلاء وسائل الراحة والتسلية المصممة خصيصاً لضمان الراحة القصوى للضيوف. يقدم الفندق مجموعة رائعة من الخدمات كمثل مركز للياقة البدنية, ساونا, ملعب جولف (ضمن العقار), حمام سباحة خارجي, سبا، لجعل إقامتك تجربة لا تنسى. اكتشف مزيجاً ساحراً من الخدمة الاحترافية والخيارات الواسعة من وسائل الراحة والمتعة في Capricorn Resort Yeppoon. These facilities are very old and neglected. My wife and I were excited to stay here as we have visited the restaurants before and were very surprised at the quality of the restaurants and grounds, however nothing could have prepared us for the disappointment the accommodation was. We couldn't use the cabinet to set the suitcase on as it wouldn't have supported the small hand carry bag we had let alone any suitcase, and it was impossible to use the drawers as the handles were broken off making it impossible to use. We are not usually harsh when it comes to accommodation, but we turned down other accommodations charging less but with a much higher standard in favor of this. Disappointing doesn't even describe our feelings about this. Staff were disgruntal,and un professional. I was referred to as Darl not Sir or Mr. .. which is a basic expectation when dealing with guests. Rooms were tired and not all that clean. Way overpriced. On checkout i was given my accommodation rate, far less than what i paid through agoda...I am aware of how this all works however didnt appreciate being showed on check out and asked to pay.. i would b3 suprised if this hotel is still operating in 12 to 18 months.. This hotel was such a great venue only 12 months ago, so much cut backs closing of the other wings of the hotel make place un welcoming. Good luck maintain regular customer visits. No1. The Japanese Restaurant Tsuruya. 5 stars. Rooms OK. Golf course (only the championship course open now) - Excellent. General Facilities 4/5. Very cold air conditioner that couldn't be adjusted. Pack winter clothes for kids! This was meant as a lazy weekend away, ticked the box there. The pool was awesome, it was also good to see all of the amenities open. Massage was great, access to a choice of restaurants was also a bonus. I felt the price was adequate on sale, full price would have been to much. The place is aging, not to say its run down but definitely showing her age. I would do it again at the right price. 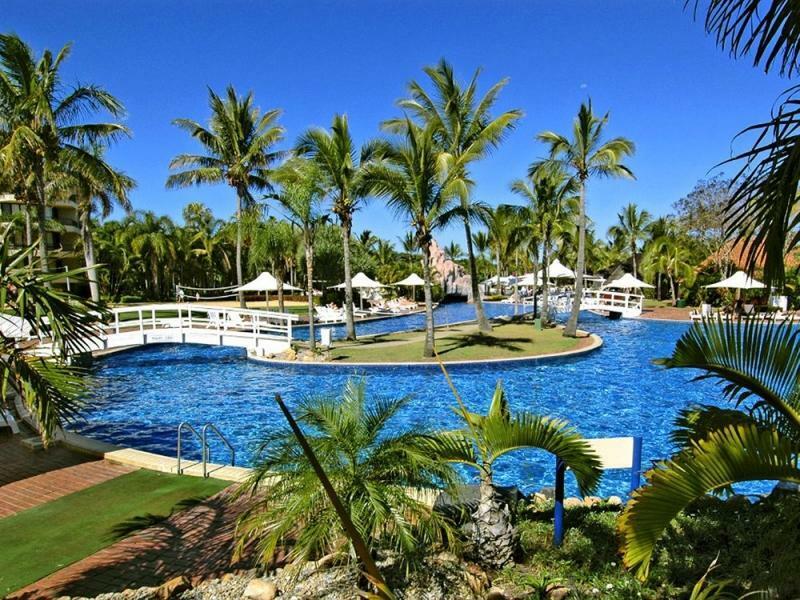 We love the Capricorn Resort, we stay there on numerous occasions every year. It is just such a pity that they haven't kept up the maintenance on the rooms because the grounds and the pool area and the bars/restaurants are really very good. It is quite expensive for what you get in the rooms, but we continue to go there because it is close to home and a great get-away for families. im not a snob far from it. But there was mold on the outdoor chairs, the door on the patio doesn't Lock,can't watch movies you want to pay to watch there all being used its on pay for view so that I don't understand, can't have a bath as there are no plugs, there was mold in the bathroom and the floors didn't looked cleaned, it's smells musty and didn't look like it had been cleaned, dead cockroaches in the out door entry way, the beach well can't even sit there with out worrying about being run over by 4 wheel drives and then you have a steep climb in a sand bar to get back up. So to sum it all up not worth the $150 per night I have paid. I can say it was a let down as it was a birthday weekend away I received as a gift. Ok, only takeaway evening meals, bar staff between takeaway & bar causing people at bar waiting & waiting. The room was clean and comfortable and the surrounds were well looked after. The view from the room was fantastic and the main attraction the pool area was very well looked after.The unavailability to obtain a meal with the exception of take away was disappointing as was the untrained staff who worked in this area. People got the wrong meals and there was no bar staff with up to 10 people at the bar watching a main spots avent. Hi,i have tried to contact customer support to no avail., it is a very serious matter maybe you could tell me how to find them. Very disappointed with our stay, have sent a complaint email, no reply. Enjoyed the break. Bit disappointed with the standard of the rooms. Would be a perfect spot for kids. We went for a family holiday with our young child. The pool was great but that's probably as far as it went. Our room was self contained & had a tiny bench for food, insects, a mouse, leaking A/C, door that didn't lock onto the balcony (not good with an 18mth old) the shower was hard to adjust & temp wasn't regulated (got scalding hot) Needs the rooms revamped a bit & would be a great family destination as it has a great golf course as well.